GOLF’s Top 100 course panelists are among the most respected and well-traveled course evaluators in the game. They’re also keen to share their opinions. In this new GOLF.com series, we’ll be granting them anonymity and turning to them for their unvarnished views on all questions course-related. The goal is not only to entertain you but also to give you a better understanding of how GOLF’s panelists assess courses. 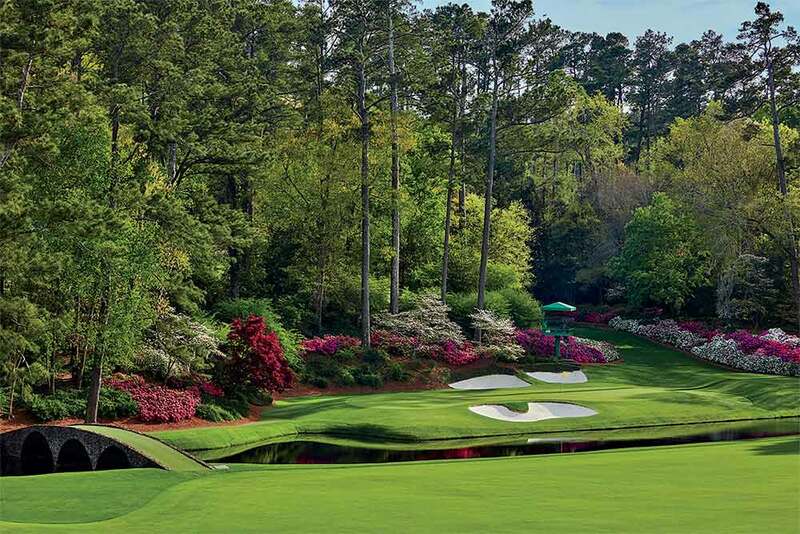 With the Masters set to get underway on Thursday, we’ve asked our experts to discuss Augusta National’s secrets, the difficulty of the course, its standing among the best in the world, and more. The 12th hole at Augusta National is the course's most iconic. 1. 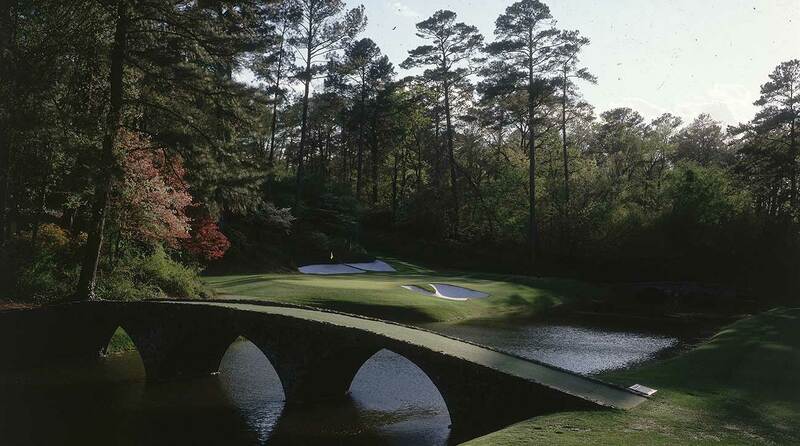 Let’s set aside the tournament and the other prestigious trappings and assess Augusta National on design alone. It ranks No. 5 on GOLF Magazine’s list of Top 100 Courses. Is that too high? Too low? Just right? Why? Panelist 5: It is about right. There’s a wonderful variety of holes, in both distance and shot value, and a compelling collection of reachable par-fives with high risk-reward. The greens are so fast and pure you have to trust your caddie completely and thank him profusely for every two-putt. 2. What surprised you most about the course the first time you played it? Panelist 1: The slopes on the greens, which are not really visible on TV coverage. Panelist 2: The elevation changes, particularly on 8, 9, 10, 11, and 18. Panelist 3: The complexity of the 1st, 3rd, 4th, 5th, 14th and 17th greens for reading putts. The 17th in particular, where the land around it is so strong that it hides the fall in the green surface. It’s those eccentricities that you just can’t see from the gallery or television. I was even more impressed with the greens in person. I think the 4th might be the wildest of all. Panelist 4: The elevation changes and the slope on the greens, especially at 6, 7 and the front portion of 14. Panelist 5: The course is not long from the members’ tees. One would not appreciate the elevation changes on some of the holes on TV. You have to be at the course to feel the severe downhill of the 10th hole and the steepness of the uphill on 18. Panelist 6: Green speeds and elevation changes. 3. In your visit(s), what has been your most memorable ‘this could only happen at Augusta’ moment? 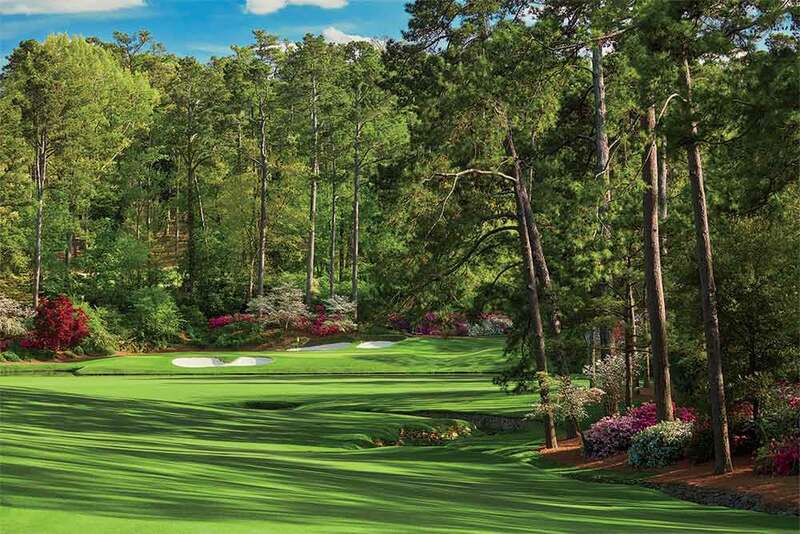 The 12th hole at Augusta National is in the middle of Amen Corner. 4. What’s the single hardest or most intimidating shot? Panelist 1: Tee shot on 18 and any putt on the sixth green. Panelist 2: The tee shot on the first hole to start your round. You’re finally there and you want to play well. But you particularly don’t want to hit a poor first tee shot, potentially with others looking on. Butterflies in your stomach feel like condors. Panelist 3: I think the single hardest shot for regular golfers (not the pros) is going for the green in two on 15. Downhill lie, need to carry the water but stop it on the green. Usually better to lay up and try to hit a nice wedge in. Panelist 5: The approach to a front-left pin on the third hole uphill to a green falling away. I’m not even sure how it’s possible, but we have seen it done! Panelist 6: The current length is perfect for members and mid-to-high handicappers. It will be great when they lengthen it for tournament play. 5. Should the 13th hole be lengthened? Why or why not? Panelist 1: I don’t think so. It is such a great hole because it is reachable and provides great drama during the tournament. If lengthened, it would most likely become an average three shot par-5. Panelist 2: No. The risk/reward there is one of the most intriguing on the course. And the angles make all the difference in your decision on what to hit. Panelist 3: The current length is fine. I prefer the drama of having most still try for the green. Panelist 4: Perhaps a wee bit. It seems a lot of players hit it into the pine straw. One really has to shape the shot to be in the fairway. Panelist 5: No. Keep it reachable for the long hitters, but with high risk for the second shot. Panelist 6: The length is perfect currently for the members and mid-to-high handicappers. It will be great when lengthened for the tournament. A view of the 12th green and 13th tee box (tucked back to the right) from the 13th fairway of Augusta National. 6. Congratulations, you’ve been appointed chairperson of Augusta National. What’s the first design change you plan to make?